The government has made an ambitious estimate of growth in revenue earnings in the upcoming fiscal year, largely banking on expanding the tax net and targeting tax dodgers, a top finance ministry official said. The ministry last week fixed Tk 2,08,770 crore to be generated in revenue income in 2015-2016 fiscal year, up by around 28 per cent of the revised estimate of the current fiscal year. While revenue income in the first eight months of the current fiscal year showed a mere three per cent year-on-year growth, the next projection has also not taken slowing economic trend into consideration, a top revenue official said. Bangladesh’s LPG market is now filled to the brim with a good number of foreign big players also putting their stakes on the business bonanza, but the glut has left little impact on the price pyramid. A market survey shows the price indices at retail level almost same as few months before. Even, a sharp fall in the global energy prices since last June could do little to influence the LPG domestic market to give the users some share of the fuel dividends. Nitol Niloy Group Chairman Abdul Matlub Ahmad yesterday announced his panel for the biennial election to the Federation of Bangladesh Chambers of Commerce and Industry, scheduled for May 23. Ahmad will vie for the post of president of the country’s apex trade body. He declared his panel of 32 candidates from chambers and associations, at a press briefing at Purbani Hotel in Dhaka. Ahmad has been nominated from the Rajshahi Chamber of Commerce and Industry as a director of FBCCI. Prior to the announcement, he said the business community is anxious over the bank interest rate. Bangladesh’s stocks ended lower for the second running sessions on Thursday as investors continued to sell shares, fearing further fall. 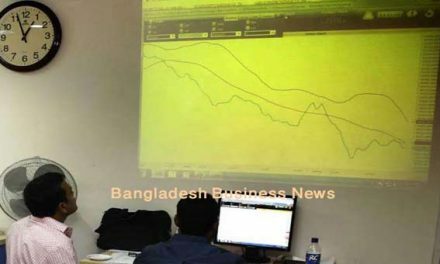 DSEX, the prime index of the Dhaka Stock Exchange (DSE), went down by another 51.92 points or 1.26 percent to close at 18-month low level of 4,047.28 points. The two other indices also saw steep fall. The DS30 index, comprising blue chips lost 17.71 points or 1.13 percent to close at 1,545.18 points. Improving financial education of remittance recipients, expanding digital finance and promoting remittance-linked capital market instruments could promote growth and cut poverty in developing countries including Bangladesh, according to a forum organised by the Asian Development Bank. Over the past decade, many developing countries have made substantial progress towards reducing poverty, and remittances sent by migrant workers have hugely contributed to this progress. In ADB’s developing member countries, remittances nearly tripled from $92 billion in 2005 to $246 billion in 2013. The government will open again the country’s onshore blocks for oil and gas exploration by international oil companies, after a lull of almost two decades, state minister for the ministry of power, energy and mineral resources Nasrul Hamid told newsmen Thursday. He said all onshore areas of the country, except those to be explored by state-owned Bangladesh Petroleum Exploration and Production Company Ltd (Bapex), will be offered to the IOCs. The central bank asked the commercial banks to boost investment in different productive sectors through reducing the interest rate on lending. The Bangladesh Bank came with the directive during a bankers’ meeting held at the central bank on Thursday with Bangladesh Bank (BB) Governor Atiur Rahman in the chair. The central bank also asked the other banks to stop gender harassment. Different other issues including credit flow to the housing sector, rescheduling of loans and create a post for deputy managing director only for women in each bank were also discussed at the meeting. 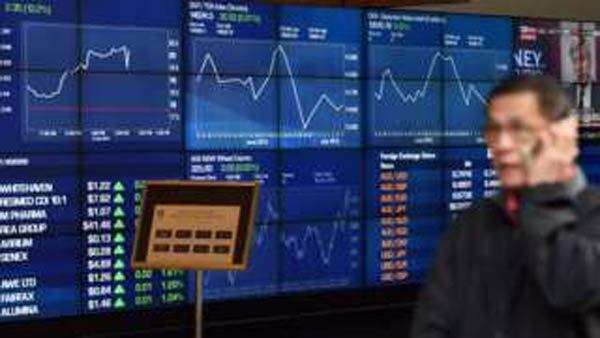 Bangladesh Securities and Exchange Commission and Dhaka Stock Exchange at a meeting on Thursday pressed each other to discuss with the central bank on relaxation of rules connected with banks’ capital market investment, sources said. BSEC chairman M Khairul Hossain presided over the meeting held at its office where BSEC commissioners Md. Helal Uddin Nizami, Md Amzad Hossain, Arif Khan, DSE chairman Siddiqur Rahman Miah, managing director Swapan Kumar Bala, directors M Kaykobad, Md Shakil Rizvi, Mohammad Shahjahan, Khwaja Ghulam Rasul and Sharif Anowar Hossain were present.